I was standing in a library aisle in the School of Oriental and African Studies, London, my neck craning to read titles dropping vertically down the spines of books. A familiar experience for many students, even if it is being increasingly replaced by the ubiquitous blue-white glow of the screen. Around me were shelves containing the collection of books in English about the Qur’an. SOAS buys almost everything of note, yet this section is modest in size, reflecting the neglect that the academic field of Qur’anic studies has historically received (though in very recent times it has undergone a small renaissance). On that day in 2009, something stuck out. In my mind’s eye, a gap in the literature had taken literal shape on the shelves. Was there really no monograph focused on social justice in the Qur’an? 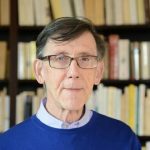 During the next decade, questions of justice have only intensified around the world, especially in the so-called Muslim world. The “Arab Spring”, commencing at the end of 2010, which was so clearly motivated by a rejection of unjust regimes, not to mention the rise of ISIS in its aftermath, told me that I was on the right track with a theme that was “too broad for a PhD” in the words of one academic I met. 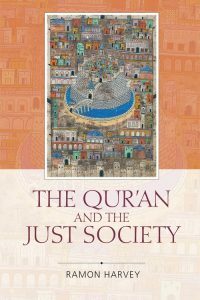 Whenever I tried to explain to anybody the rationale for such a wide scope, I would fall back on the idea that it was as necessary to look at the connections between different aspects of social justice in the Qur’an – and its overarching ethical stance – as it was to study them in their individual detail. This thematic point mirrors a disciplinary one. Anyone who reads classical exegetical literature soon realises that it contains discussions drawn from all other parts of Muslim thought. The Qur’an, as God’s word, was considered so vast in meaning that it could only be explained by drawing on every available facet of knowledge. I make no claim to a parallel feat in The Qur’an and the Just Society, but I have perhaps retained its spirit by connecting classical disciplines including balāgha, kalām, uṣūl, fiqh, sīra, tafsīr and Hadith to their modern academic descendants in the field of Islamic studies. The nature of my approach means that though this book engages in a reconstruction of the meaning of social justice for the Qur’an’s initial audience, it does so mainly as a theological and hermeneutic intervention, rather than a historical one. As The Qur’an and the Just Society becomes available to readers, I hope that it fills a genuine gap in our ongoing, collective understanding of the Qur’an…and does not just attract dust on library shelves. How does this book compare with Bill Warner’s series of books on Political Islam – Sharia Law for Non-Muslims, for example? 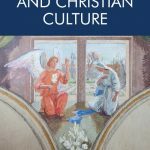 Ramon’s book was peer reviewed by established scholars and has this far been well received whereas Warner’s work was independently published and has been widely rejected by scholars, academics, and prominent intellectuals.